Shochiku has released a trailer for the theatrical release of what's basically the Harry Potter and the Cursed Child of Japan, and it needs to make a stop in Australia as soon as possible. 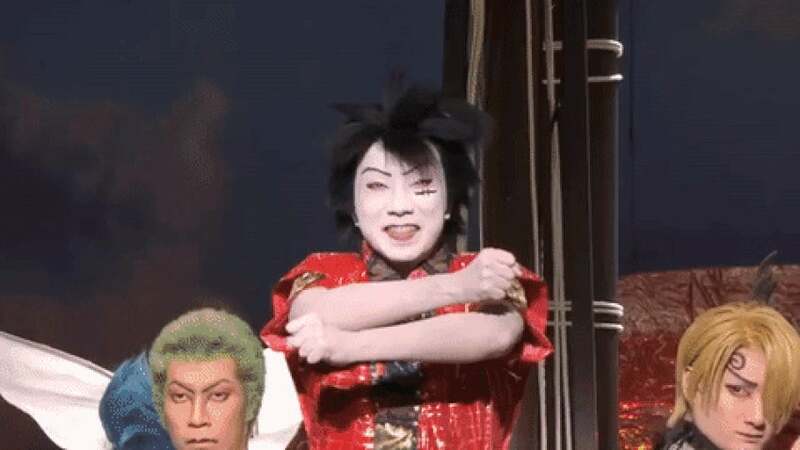 The One Piece kabuki play, based on Eiichiro Oda's famous manga, has been a smash hit in Japan since it debuted last year. When you look at the trailer, it's easy to see why. It's a pretty fantastic blend of manga and kabuki, giving this classic theatrical artform a modern edge for younger audiences. Plus, snow fights. The play adapts volumes 51 through 60 of the manga, focusing on the Summit War Saga. In the story, Luffy tries to rescue his brother Ace from being executed, while a war breaks out between the Whitebeard Pirates and the World Government. The play first ran from October 7 to November 25 to widespread adoration, selling out 100,000 tickets during its Tokyo debut. In comparison, Harry Potter and the Cursed Child sold out 250,000 tickets during its opening run in London. The kabuki play ran in two other Japanese cities, and inspired a specialty Luffy kabuki figurine from Bandai. The movie opens in Japanese theatres on October 22. So far, no plans to dub the film and release it in Australia, although that would be awesome. "Dub" and "awesome" are two words that should never appear in the same sentence.